Child Health Week is an international activity that takes place country-wide with the aim of treating children from various diseases including diarrhoea, measles, malaria malnutrition etc. A meeting was organised at the district director of health office where a detailed follow-up plan was developed. The plan included distribution of the vaccines, needles, and other drugs like Mebendazole for worms etc. Our interest was to make sure that we joined the health team so that we could as well conduct demonstrations [of Kit Yamoyo] and make follow-ups to the promoters during the exercise. We identified the following clinics Mtandaza, Kafumbwe, Mindola, Kagoro, Kakula and Kamiza for participation in the child health week. We communicated with the retailers in the planned sales areas to make sure that they had enough Kit Yamoyos in stock, which they did. A total of 45 Kit Yamoyos were bought by different retailers from the wholesaler during the week and mothers bought for cash from the retailers as well. After a demonstration of Kit Yamoyo, 3 mothers who had kept vouchers managed to redeem Kit Yamoyo from a retailer within the area by the name of Chiwoko Banda. The Facilitator (Mrs. Justina Tembo Nyendwa) explaining to the community in Kamiza zone at Gomani village about how to use Kit Yamoyo. 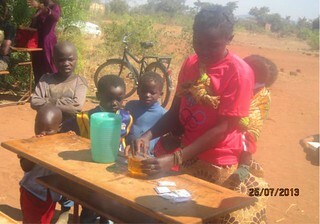 It was very clear that mothers had been using Kit Yamoyo to treat diarrhoea. Three mothers who had used Kit Yamoyo stood up and gave their testimonies on how their children were treated. 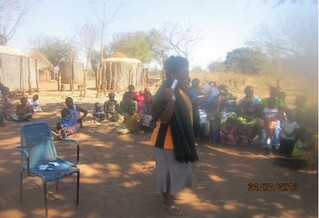 The meeting was attended by 120 mothers, 3 promoters and one health staff (Ms. Zulu A) the nurse. The retailer for the sales area Mr. Kenneth Mwanza was also in attendance. 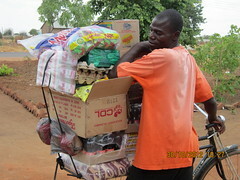 He explained that during the month, he had managed to sale 14 Kit Yamoyo for cash. He further went on to inform the community that he will always have Kit Yamoyo in stock so that the community is not denied the drug. Drama has been one approach we have been using to deliver the message to the community. 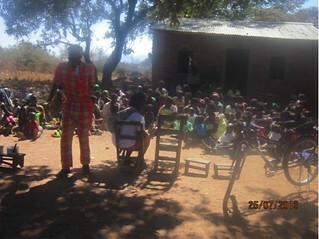 See, how the community is attentively listening and looking at the performers during the role play. 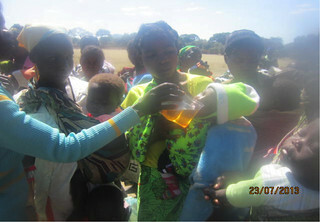 One of the mothers (Mrs. Tayankhule Banda) took it to by herself to conduct a demonstration on how she prepared Kit Yamoyo when her child was sick. This was at Katawa primary school of Kagoro clinic. 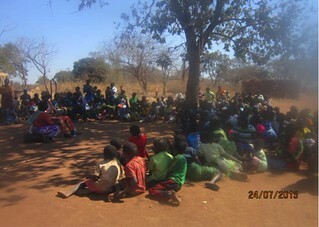 The meeting was attended by 54 mothers; one promoter Mr. Elemia Zulu and one health staff member (Mr. Mayaka Misail). The community requested to have a retailer within their villages as they are forced to walk more than 8 kilometers to Kagoro for them to access Kit Yamoyo. A local retailer was approached but he was not ready at that time. Kakula Rural Health Centre was among the clinics that participated in the child health week and our team spent time there too. Among the activities that took place during the day, include child growth monitoring which is done by checking the weight of a child and Kit Yamoyo demonstrations by mothers who have used it before to their babies. 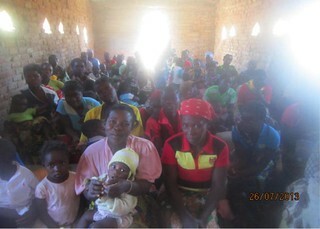 At Kameta village, the meeting was attended by 89 mothers and two health staff including one promoter Mr. John Phiri. 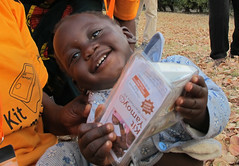 It was interesting to learn that 5 mothers had managed to buy Kit Yamoyo from the retailer Mr. Yobe Sakala for cash. 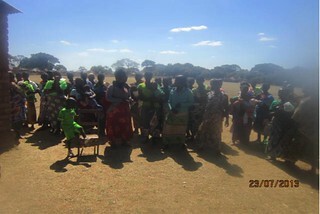 The number of children attended to by health staff increased [compared to last year] and it was to our advantage to meet as many mothers as possible for promotion of Kit Yamoyo. 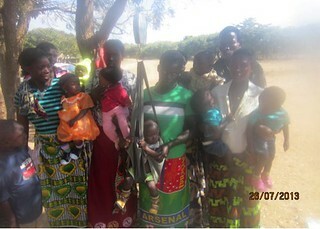 Most mothers have used Kit Yamoyo and from the reports, they are all appreciating it. None has informed us of any bad effects of Kit Yamoyo since we started the project. This in itself is a positive and has helped the sales of Kit Yamoyo. Cash sales have increased as compared to last month and we hope this trend shall keep on improving.